Free public Wi-Fi networks are popping up everywhere - at the airport, Starbucks, your local music school... These networks are a big convenience, but you should be aware of your security settings so you don't put your computer and data at risk. When you connect to a network, there may be a firewall protecting you from the outside world and everyone else on the Internet, but when you connect to a local network, you're basically putting your trust in that network and everyone else on it - not a good idea in public! 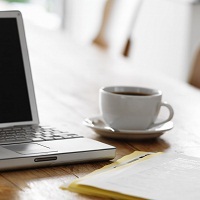 In addition to file sharing, many of these wireless hot spots are unencrypted to make it easy for people to connect, but this could leave you vulnerable to malicious users in the coffee shop who could monitor your keystrokes! Windows 7 has a great feature that lets you select the type of network you're on (Home, Work, Public), and will impose the proper security settings for you. When first connect to a network, your system will ask you what type of network it is. If you're in a place where you don't recognize the other computers, you should specify "Public Network" for your network location. This will automatically set the appropriate security settings. To see what your current settings are and to change them, go to Control Panel, Network & Sharing Center. For a Public Network, the icon is a Park Bench. To see the individual settings, click on "Change Advanced Sharing Settings". 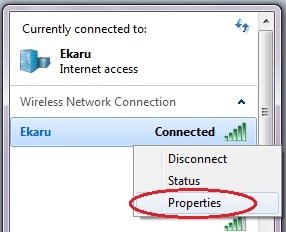 1) Turn off Network Discovery - When Network Discovery is ON, your computer can see other computers and devices on the network and they can see you. 2) Turn off File and Printer Sharing - When File and Printer Sharing is ON, files and printers you have shared on this computer can be access by other people on the network. 3) Turn off Public Folder Sharing - When public Folder Sharing is ON, people on the network can access Public Folders. 4) Turn on Password Protected Sharing - if you are going to share files and folders, make sure Password Protected Sharing is ON so that only users with a user name and password for your system could access the files. 5) Additionally, Turn ON Windows Firewall. Go to Control Panel, Windows Firewall and check that its ON. The firewall helps prevent other systems on the network (all the people you don't know in the coffee shop) from potentially spreading malicious software or accessing your system. When accessing web sites, look for SSL encryption to make sure your transmissions are protected. Look for "HTTPS" in the web address. Unless you completely trust the owner of the network, and trust that they have secured their network equipment, keep in mind that entering personal information like banking accounts and credit card information can be compromised. 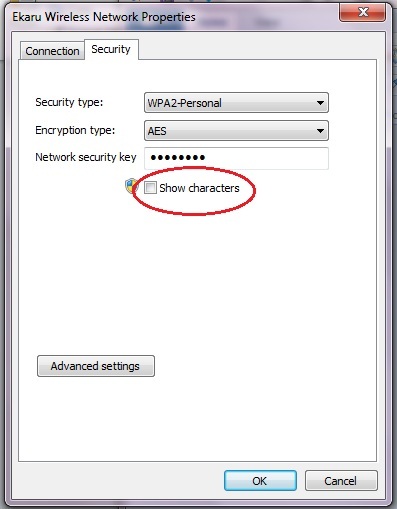 WEP and WPA encryption can be hacked, so you're not completely safe. Finally, if you don't need to use the Internet the whole time your their, just shut off your laptop wireless. Your system may have a physical switch, or you can simply hit the "Windows Key" + "X" to get a bunch of on/off switches. Security is never 100%, but remembering to take proper precautions will greatly reduce your risk. Consider what information is most important to you, and safeguard it in public. I just asked my colleague if he would purchase something on-line with a credit card while on a Starbucks Wi-Fi, and his answer was "No Way!". Take basic, proper precautions, and then use your judgment. Although email typically has a layer of security protection in the form of a password, users need to be aware that emails sent "in the clear" (not encrypted), CAN be intercepted and read by other parties using available tools. To address this threat, the new MA Data Protection Law which went into effect March, 1, 2010 requires "Encryption of all transmitted records and files containing personal information that will travel across public networks". There are many solutions available, but the one we typically recommend to clients is Voltage SecureMail. This is an easy solution because the email recipient doesn't need to purchase or install any software on their end. Although it's a bit of a pain to go through the extra step of encryption, this is a necessary precaution when sending any protected or sensitive information. You can send eMails directly from Microsoft Outlook, or log into a web interface. We typically advise clients to develop a process where they send a preliminary email to the recipient with some simple instructions to let them know a secure email will follow. This helps non-tech-savvy users know what to do. To see how it works, view the Voltage SecureMail demo. If you'd like to give it a try, sign up for a free trial. To learn more about the new MA Data Protection Law - 201 CMR 17.00: STANDARDS FOR THE PROTECTION OF PERSONAL INFORMATION OF RESIDENTS OF THE COMMONWEALTH - read full regulation from the mass.gov web site.